Enjoy a fun-packed vacation on the slopes of Le Massif de Charlevoix, a winter wonderland for skiing, sledding, snowshoeing and après-ski activities. 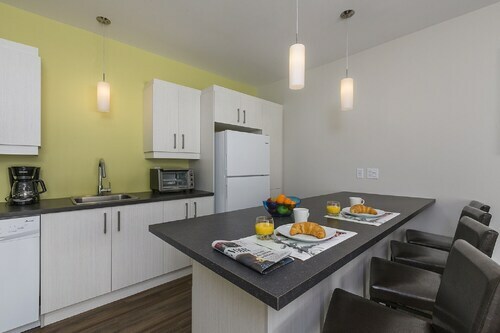 Le Massif sits nestled between the majestic Laurentian Mountains and the blue waters of the St. Lawrence River. Its history began in the 1980s, when minibuses and snowmobiles ferried skiers to a handful of runs. Today, the resort features more than 50 trails across a skiable terrain of 406 acres (165 hectares). At Le Massif, find trails suitable for all levels, accessible via modern lifts and gondolas. Meet passionate and experienced instructors, who will tailor lessons according to your ability and prepare you for the slopes. Jump on your skies or snowboard and traverse the glistening snow. Enjoy the impressive 2,500 feet (770 meters) of vertical drop. 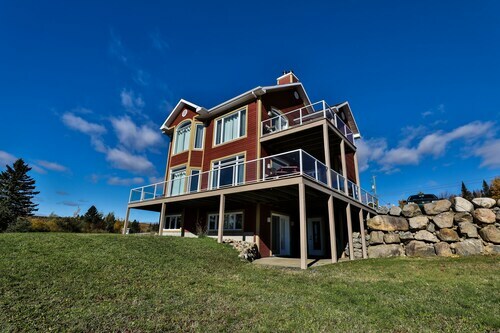 Take a moment to admire unrivaled views of rolling mountains and the St. Lawrence River. A wilderness of snow-covered meadows and rugged peaks offers cross-country skiing and snowshoeing trails. Join guided off-trail backcountry tours. Relive your youth as you go sledding on the 4.5-mile-long (7.3-kilometer) run. Hold on tight as you wind around a mountain on a trail of natural snow. After a busy day on the slopes, treat yourself to après-ski entertainment. Dine on homemade pastries, delicious charcuteries and freshly made sandwiches at the cafés and restaurants. Share highlights of the day’s adventures at the center’s mountaintop pub, which hosts regular live music and DJ performances. When ski season ends, return to the Charlevoix area, a UNESCO Biosphere Reserve, to see diverse plant and animal life. Visit nearby Baie-Saint-Paul’s outstanding contemporary art museum. Le Massif is just a 15-minute drive from the village of Petite-Rivière-Saint-François. There’s a free on-site car park. During the winter months the Charlevoix Light Rail Transit connects the village and mountain. A daily winter shuttle-bus service operates between the mountain and Québec City, which is about a 1-hour drive south. Skiing at Le Massif de Charlevoix is open from December to April. Visit the center’s official website for information about single-day, multi-day and season passes. You’ll also find details about equipment rental, classes and child daycare services. 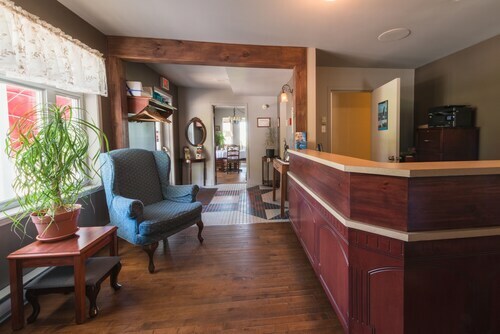 Situated in Petite-Riviere-Saint-Francois, this inn is within 16 mi (25 km) of Golf de Baie-Saint-Paul, Le Massif de Charlevoix, and Contemporary Museum of Art. Arena Luc et Marie-Claude and Galerie Clarence Gagnon are also within 16 mi (25 km). 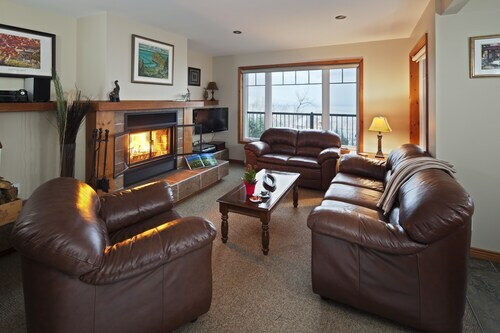 Situated in Petite-Riviere-Saint-Francois, this golf inn is within 12 mi (20 km) of Golf de Baie-Saint-Paul, Le Massif de Charlevoix, and Contemporary Museum of Art. Arena Luc et Marie-Claude and Galerie Clarence Gagnon are also within 12 mi (20 km). Located in the mountains, this family-friendly cottage is within 9 mi (15 km) of Golf de Baie-Saint-Paul, Contemporary Museum of Art, and Galerie Clarence Gagnon. Les Jardins secrets du vieux moulin and Arena Luc et Marie-Claude are also within 9 mi (15 km). 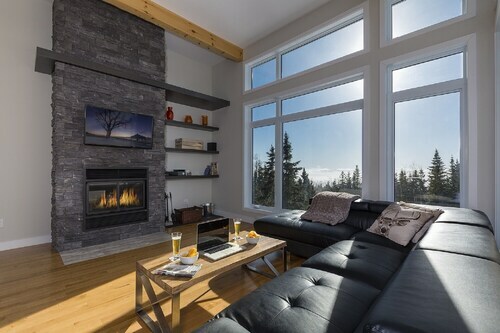 Situated in the mountains, this romantic property is within 12 mi (20 km) of Golf de Baie-Saint-Paul, Le Massif de Charlevoix, and Contemporary Museum of Art. Arena Luc et Marie-Claude and Galerie Clarence Gagnon are also within 12 mi (20 km). 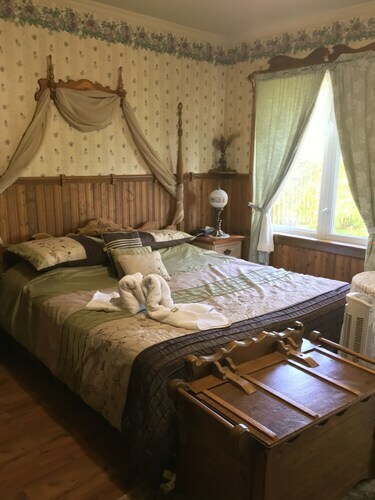 Situated in the mountains, this romantic property is within 9 mi (15 km) of Golf de Baie-Saint-Paul, Arena Luc et Marie-Claude, and Galerie Clarence Gagnon. Le Massif de Charlevoix and Les Jardins secrets du vieux moulin are also within 12 mi (20 km). These cottage accommodations are located throughout the area in Petite-Riviere-Saint-Francois.